Private-duty nurses, flowers, radios and portable televisions are not allowed. In some cases, we will hold your mail or give it to your immediate family. Visiting hours and the number of visitors are limited; please check with your specific ICU. Morning tea / beverage 6:30 a.m. to 7:30 a.m.
Evening tea 4:00 p.m. to 5:00 p.m. Please feel free to discuss any doubts regarding your diet with your dietician. 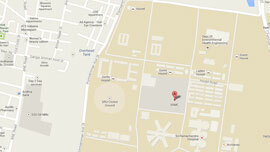 For diet counselling, you can contact us on intercom No.310 between 8:00 a.m. and 4:00 p.m. Occasionally, certain medical tests may be scheduled during your regular meal time, or a procedure must be performed on an empty stomach. This may delay your meal. As soon as you are able to eat, however, nursing personnel will order a tray for you. The Food & Nutrition Services staff includes Clinical Dietitians-experts specifically trained in nutritional science, health maintenance and patient education. Our dietitians provide extra nutritional support to those patients who need it most. They are also available to teach patients about special eating plans and dietary restrictions. If you would like to learn more about your diet, ask your doctor or nurse to contact a dietitian. 24 hour pharmacy located in the ground floor. PCO / STD / ISD services are available on the ground floor. Arab TV channels on request. FAX facility available at extra charges. Guest laundry service is also available on request. Multi cuisine Restaurants, Gift shop - library building. Greeting cards made by special children (Vidya Sudha) are available in the ground floor reception. 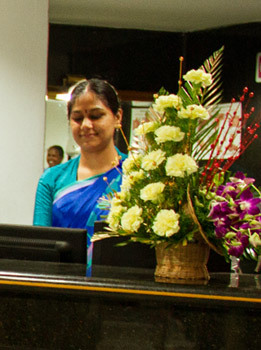 Bank facility (Indian Bank, Oriental Bank of Commerce) Ext. No.8283. 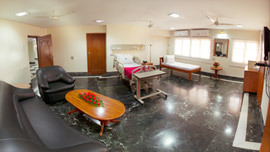 A/C and Non A/C rooms in SRMC annex. Ext. No.8310. General store at SRMC Annex.